Tonight DJ Goldilocks was joined by her new co-host DJ Dingle-D who brought a lot of energy to the show! It’s true what they say, you can always find strength in numbers. We talked about the loss of two very influential performers, who each leave behind a legacy that has left a lasting impression on people around the world: David Bowie and Alan Rickman. If you’re looking to watch David Bowie’s final creation, here’s a link to the Blackstar video! DJ Goldilocks was spotted today on the Laurier twitter account for her hilarious reaction to the breaking news of Alan Rickman’s death, leading into a humorous conversation about the controversial twitter account. Did you watch Jimmy Fallon last night? Cause we did! 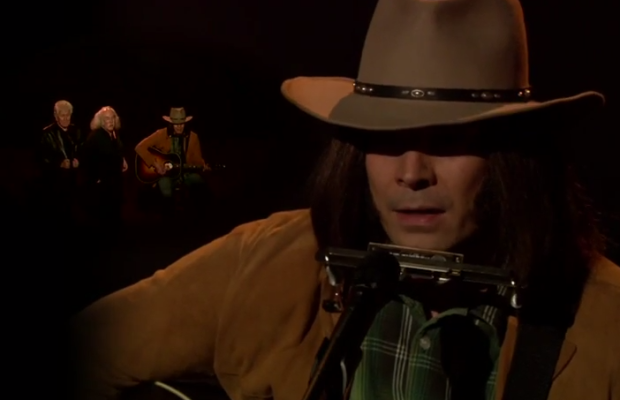 Jimmy Fallon, our favourite late night host, did an incredible impersonation of Bob Dylan singing the famous Drake song, if you haven’t seen it yet click here! Justin Trudeau was in the Waterloo Region today; he stopped by the University of Waterloo to announce the government funding the Water Consortium – a research effort based out of the school to develop and commercialize clean water technologies! Speaking of clean technologies… did you know that Canada is now selling “Vitality Air”. That’s right, you can now purchase Canadian air in a can. Who would buy this you might ask? Well, China bought all of it! The Powerball last night went for a whopping $1.6 billion US! Could you imagine having that much money? What would you spend it on? Vacations? A life supply of Vitality Air? We would probably drop out of school and travel the world. Thanks for tuning in and turning up with us tonight, we’ll be back next week on Thursday night 10-11!